After Fukushima: A Changing Climate For Nuclear Nuclear power had enjoyed 25 years of relative quiet, but the Fukushima accident reminded people that despite improvements in safety, things can still go horribly wrong. The accident is unlikely to affect U.S. nuclear policy, experts say, but countries like Germany and Japan are looking to alternatives. This year has something unpleasant in common with the years 1979 and 1986. In 1979, a nuclear reactor at Three Mile Island in Pennsylvania melted down. In 1986, the Soviet reactor at Chernobyl blew up and burned. This year's meltdown occurred in Fukushima in Japan, and nuclear power isn't likely to be the same as a result. 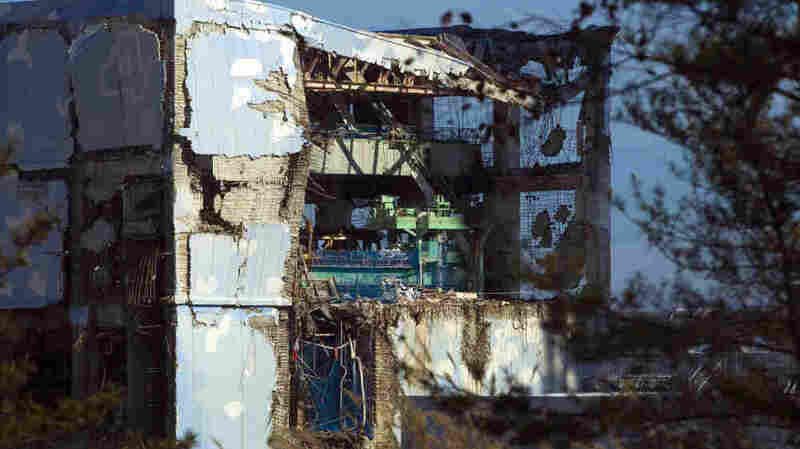 Nuclear power had enjoyed 25 years of relative quiet, but the Fukushima accident reminded people that despite improvements in safety, nuclear plants could still go horribly wrong. For some, though, nothing has changed much. And after studying what happened at Fukushima, the NRC deemed America's reactors safe. However, the NRC has demanded some safety upgrades. Peterson says those aren't showstoppers for building new plants. But the accident ignited a feud at the NRC. Four of the five commissioners wrote the White House complaining that their chairman, Gregory Jaczko, ignored them during the first days of the accident. And they said he bullied them during the safety review. "You're telling me they're all wrong and you're right," he barked at Jaczcko during the hearing. "That, to me, is a lack of leadership and I hope, I hope that there is some sort of change, and you are going to do the right thing for your country and this commission. You should step down." Jaczko has not stepped down. And despite the bitterness, work continues at the NRC — the commission just approved a new, safer power plant design, called AP1000. That could help get new reactors built. But Marc Chupka, who advises electric utilities as an economist with the Brattle Group in Washington, wonders who's going to pay for them. In Japan, the four reactors that failed were finally stabilized this month. The cleanup will cost many billions, and the government says: No more nukes. George Perkovich, director of the Nuclear Policy Program at the Carnegie Endowment for International Peace, says if Germany succeeds, nuclear could be in even deeper trouble. Nuclear's strength is that plants run 24/7, unlike solar and wind generators. They provide continuous and reliable electricity, so-called baseload power. But, says Perkovich, "If Germany comes along and figures out how to power a very big economy, including baseload needs, without nuclear, then that to me becomes a real, if not a death blow, a real challenge to nuclear, because it breaks the whole nuclear story that this is the only environmentally friendly way to provide baseload." One thing nuclear still has going for it is that it doesn't emit carbon dioxide, which warms the planet. Coal and gas do. At this year's international climate conference in South Africa, delegates talked about slapping a price on carbon, which could make nuclear a better financial competitor. But they decided, "No, not now." Maybe in 2020.